It's been about a year since I last discovered the Burberry Beauty collection and up until now, my collection is still growing! 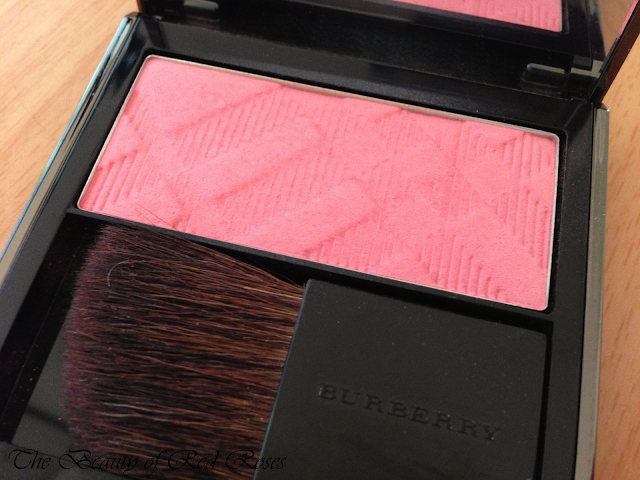 Today I will be reviewing my all-time favourite blush which is the Burberry Beauty Light Glow Peony (shade No. 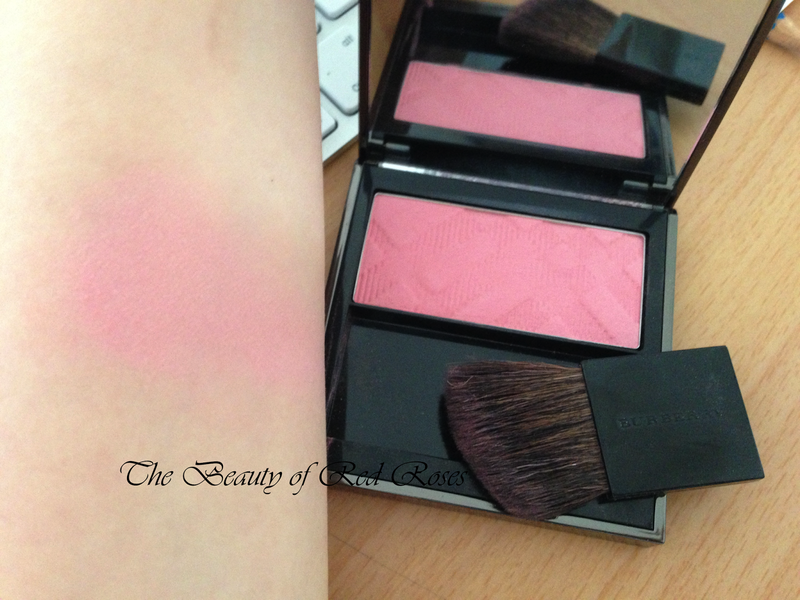 04) blush (A$70/7g). Burberry Beauty Light Glow blushers are truly the most natural looking and featherlight blush that gives my skin a beautiful fresh glow! I've been using this blusher for a few months now and the beautiful embossed checkered design of the blusher powder is still intact! 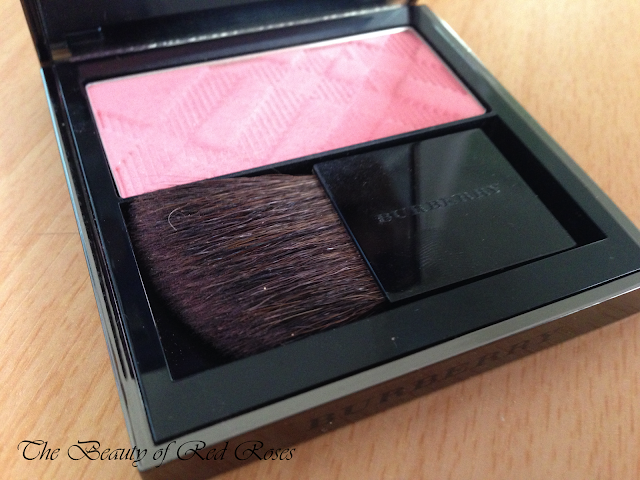 The solid and durable gunmetal packaging of Burberry Beauty Light Glow is beautiful and luxurious! In fact, the checkered pattern is reminiscent of Burberry designed clothing. The square compact of Light Glow has a magnetic closure, a large in-built mirror and a super soft and dense angled blush applicator. The shade Peony is an exquisite light pink with coral tones. I am in love with this shade as it incredibly beautiful and natural looking. 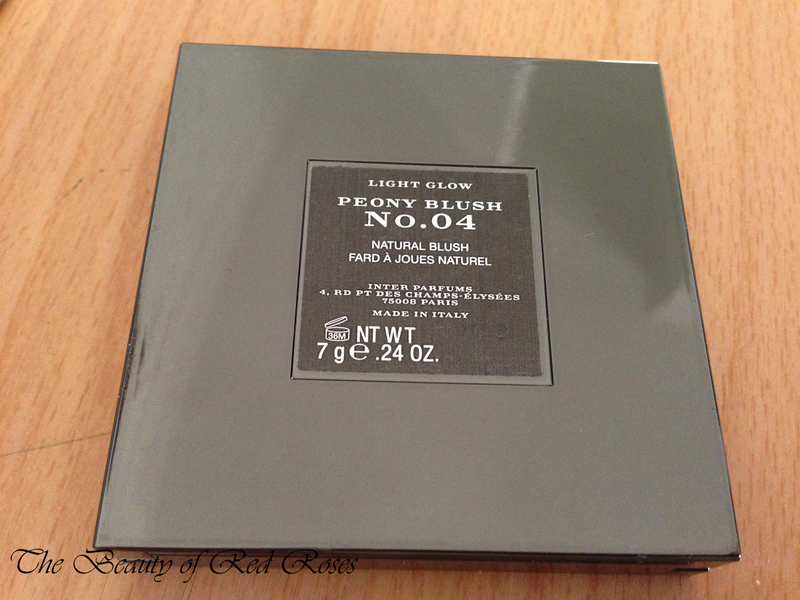 This shade suits perfectly well for those who have fair-medium skin tones. The powder is finely milled and applies on ohh so smoothly and effortlessly thanks to the silicones formulated within this blusher. Since this blusher is feather-light it was no surprise that this blusher is not so pigmented, however, powder is buildable to some extent. This blusher is infused with Wild Rose extracts, which is no wonder why this blush sets away a lovely delicate floral scent! 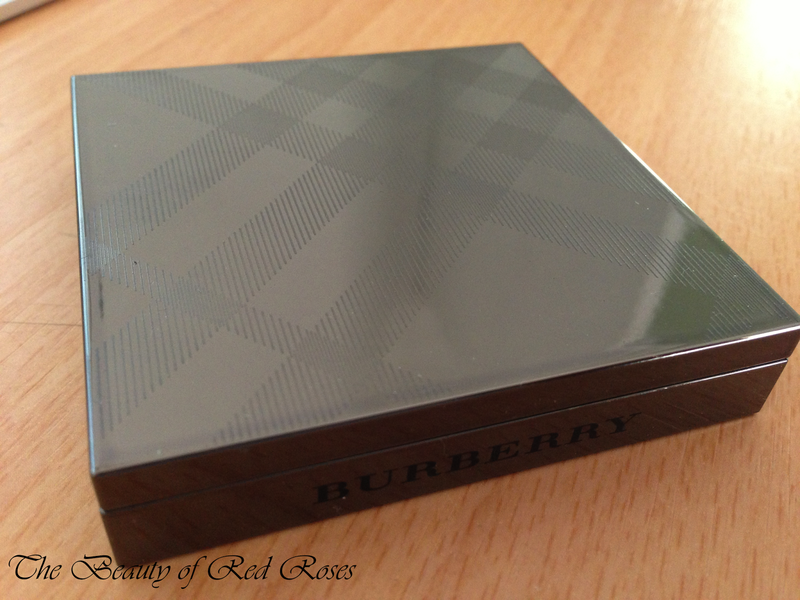 Burberry Beauty is available at selected David Jones stores nationally. Have you explored the Burberry Beauty collection before? Which products have you tried and loved?